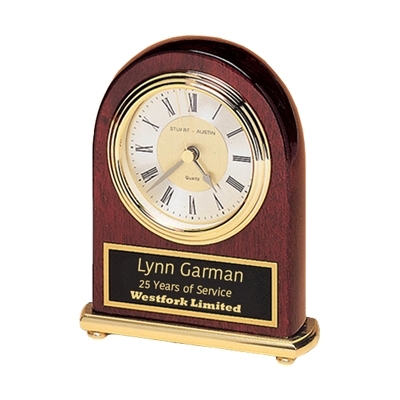 This elegant rosewood desk clock can be customized with your information. Your name can be laser engraved onto a black plate revealing gold lettering. Batteries and gift box are included.